Investors, take note! Home Staging can help your “flipped” homes sell even faster. While updated interiors go a long way in appealing to buyers, many still struggle with knowing how to use a home’s space. That is where staging comes in; Professional Stagers know how to showcase all the spaces in a home, helping buyers picture how they’ll live and use each room. Design Rewind of Austin, Tx can work with you to help you get the best return on your investment (ROI). When renovating and selling a home, we know every penny counts. The staged home below sold in only 2 weeks, after sitting unstaged on the market for a month with no interest and no offers. For more information on how Design Rewind can help you get your investment or flipped home sold, visit us at www.MyDesignRewind.com or call 512-417-2876 512-417-2876 today! 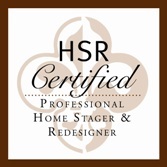 What Does $249 Worth Of Home Staging Services Get You in Austin, TX? "Wow! What a talent you have for staging, especially with regard to a tight budget. Thank you for making such a warm and wonderful difference to our home. After you worked your magic, we are almost reluctant to sell our home! We will happily refer you to our friends and family in the future."